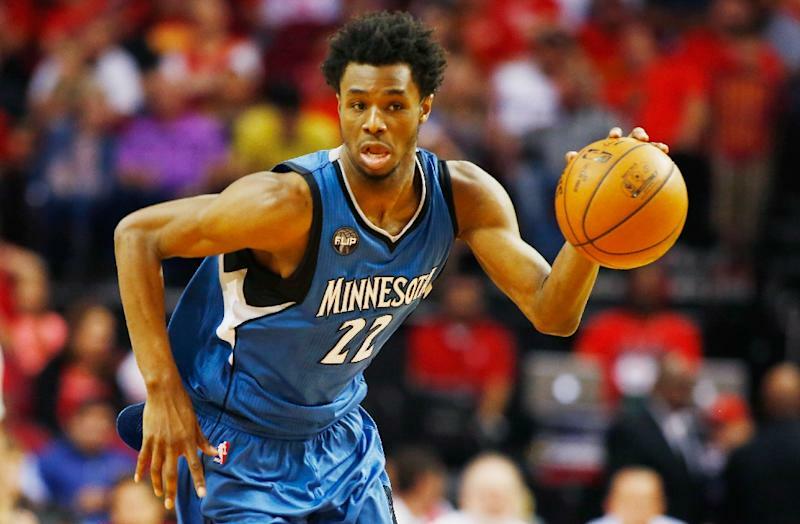 Los Angeles (AFP) – Andrew Wiggins scored a team high 28 points as the Minnesota Timberwolves snapped the Houston Rockets nine-game winning streak with a 119-105 NBA victory at the Target Center arena. Karl-Anthony Towns on Wednesday tallied 23 points and 18 rebounds to post his ninth consecutive double-double and Ricky Rubio had 10 points and tied his career high with 17 assists in the Timberwolves’ second straight win. “I’m not going to joke with you,” said Canadian Wiggins. “When we got to the fourth quarter with that kind of lead, you can’t let it slide. Brandon Rush had 12 points on four three-pointers in his first start for Minnesota and Shabazz Muhammad came off the bench to score 20 points. “Tonight we learned a lesson and we kept attacking, especially running back on defense,” said Rubio. The Timberwolves were without third-leading scorer Zach LaVine.